Who Should Be Your Ropes Rescue Go-To? You are responsible for putting together all the safety classes and workshops as the human resources coordinator. Your company needs to have a few people trained as rescue rope technicians in case the unthinkable happens. What does this type of training entail? Take a look at three of the scenarios where having someone who is certified in rope rescues comes in handy. How do you choose who will make the candidate to get certified in ropes rescue? Check out the three qualities to hone in on when looking around the company. When looking for the best candidates from your team to attend rescue from heights training, give those who are the most effective communicators a shot. People who can organize and rally people from within a group will be able to do the same in times of high stress. It’s better to choose someone who has the respect and attention of those who they may be called upon to help. Seniority is one way to weed out those who may be better able to handle the stress and responsibility associated with ropes and heights rescue training. The longer someone has worked in the business, the more of the ins and outs they know and understand. Their experience is something to be applauded and rewarded. They are also less likely to take this certification to a competitor. Countries rely on agriculture to sustain their population, and in some cases even their economy. The problem with this is that not enough children are joining the agricultural industry, so it is time we focused on teaching our children about agriculture. Young people in modern times have an affinity for and attraction to technology and science, so we need to make use of these by teaching them. A good starting place would be to make use of computers and the internet to get a hold of research on agricultural practices and how science plays a role here. There are also pre-set lessons available online which cover this topic very nicely. One of the major scientific factors affecting agriculture is climate. For instance, certain crops like almonds are known to require lots of water, so you wouldn’t try to grow them in very hot and dry areas. Wheat and sunflowers, on the other hand, grow well in drier climates. With the internet at their fingertips, children can be given the task of researching certain climates and the appropriate crops for them on the internet, implementing both technology and science into teaching agriculture. After looking at what types of crops suit which climates, weather is the next factor. With the correct analytical tools and programmes – and the internet, as always – you can show the children exactly how weather patterns affect crop growth. There are precise graphs which track how much growth was experienced on certain farms on a day-by-day basis. This comes with a record of which days had rain, and how much rain there was. This helps to show exactly how the weather conditions – beyond just rain – affect the growth of crops. Most people want to work in sales because it gives them the opportunity to take ownership of their earnings and to take home more money than with the majority of other jobs. Commission is an attractive proposition for those with the drive and passion to succeed in this challenging industry. However, it is important to be realistic. Most candidates will need to work for 3 years at an entry level role before they can expect to start earning big figures. Once there however, the total package can include elements such as commission, bonuses, car allowances, benefits packages and other perks on top of your basic salary. The industry is naturally stressful and very competitive, especially for high earners. Sales people will always be accountable for delivering their targets, and those who are successful in the role will tend to thrive on this kind of pressure. It isn’t for everyone however, so approach with caution if you don’t enjoy this type of responsibility. This summer I decided to ditch my plans to go to an all-inclusive resort in favor of doing work closer to home. For months, I’d complained to my friends about the growing number of young women in my neighborhood who were overweight, to the point of being obese. I had known one of these young ladies when she was my student in elementary school. She worked hard in class and applied herself to the physical fitness routines we taught. I was disappointed to see that at age 16, she was uncomfortable in her own skin. Her weight was causing health problems, her self-esteem was low and she appeared to be struggling in class. I was confident I deserved to get away from the stress of the city, and watching as this escalating weight problem grew in my county was a part of that frustration. A friend told me about ACE Fitness, the American Council on Exercise and asked me to join her in Central America where she planned to spend part of the summer. She had plans to do what she called “voluntouring,” using her vacation time to tour villages and apply what she had learned through ACE to the local populations. I loved the idea of working in Belize. It was near the coral reef I wanted to see and the lush country side would provide some much-needed solace. The unique and comfortable computer desk design is integral to those of you who work with computers. As a workmate earning a living, the computer also needs a good home or shelter and can make you more productive with what you do. Do you have a computer desk to support your productivity? 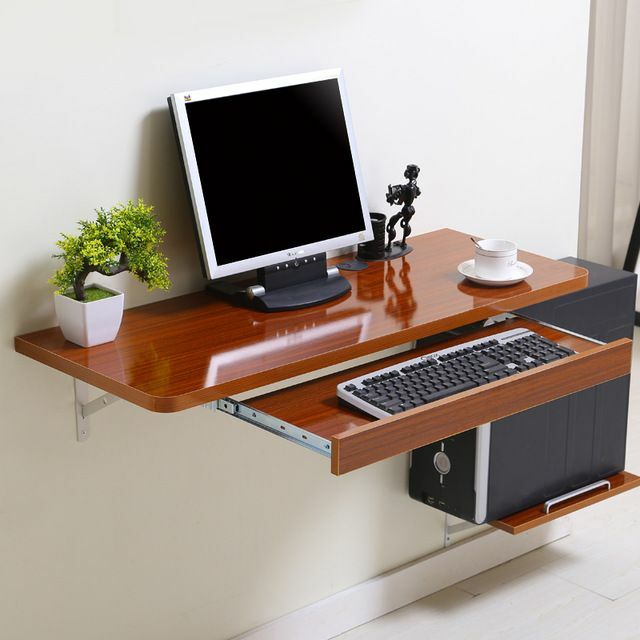 If not, I’m going to share the inspirational information of a unique and comfortable desk computer design, as well as how to decorate well and how to get a good computer desk the way you want to have. The need for a computer desk is not for you who are already working. A student or student who is still learning also needs a comfortable desk design computer and does not disturb the user’s health. Choosing a computer desk should have some aspects that you need to consider. Adjusting your needs, you must first analyze the need for a desk viewing of your computer equipment, you can visit Manufacturer of CPU holders. If you design it too much is also not good because it will be wasteful and make you uncomfortable, for example too much will take many places. Like you are a laptop user, you do not need a desk that is too big and a special space to put your personal computer case, UPS, stabilizer, or other. Sufficient as needed only. If you use a complete and separate personal computer such as a pc casing, monitor, keyboard place, sound system, ups, stabilizer and printer you need a special desk design to suit your needs.